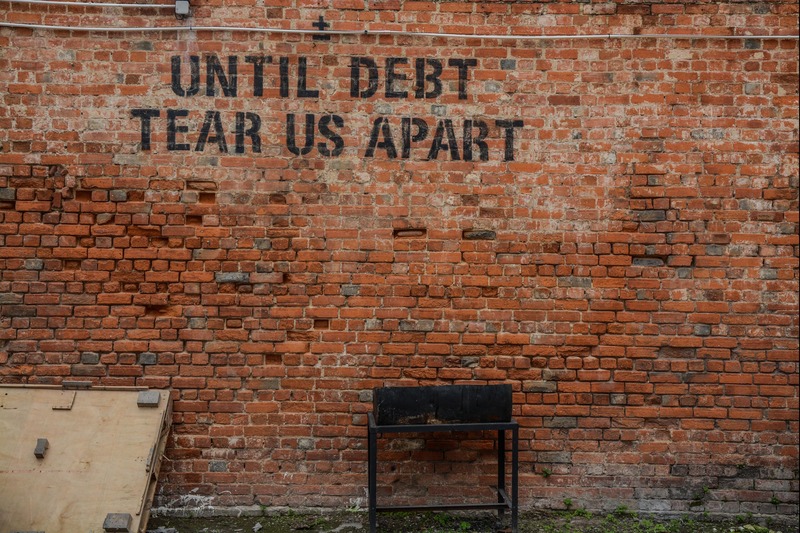 Will Debt Lead The Equity Markets Lower? Below you will find some statistics to give you a better understanding of how much corporate debt and consumer debt companies and individuals have taken on during this bull market. Below is the US Corporate Debt to GDP Ratio. Below is US Household Debt vs. The Savings Rate (From Larry McDonald of the Bear Traps Report). In February Margin debt started turning lower from all-time highs around the same time the market broke (see chart below). Margin debt is borrowed money that investors use to buy equities. Basically, investors are leveraging their assets. Throughout history, the sudden reversal of margin debt has preceded many bull market tops. In February, margin debt fell by over $20 billion. As the Fed increases interest rates it becomes more expensive for investors to hold securities on margin. This leverage may end up being another cause of a massive acceleration to the downside as the market breaks lower. Those investors that hold securities on margin and are long could get caught in a highly volatile equity selloff, losing more than their original investment, thus producing margin calls. This can lead to unintended selling and accelerate a market decline. 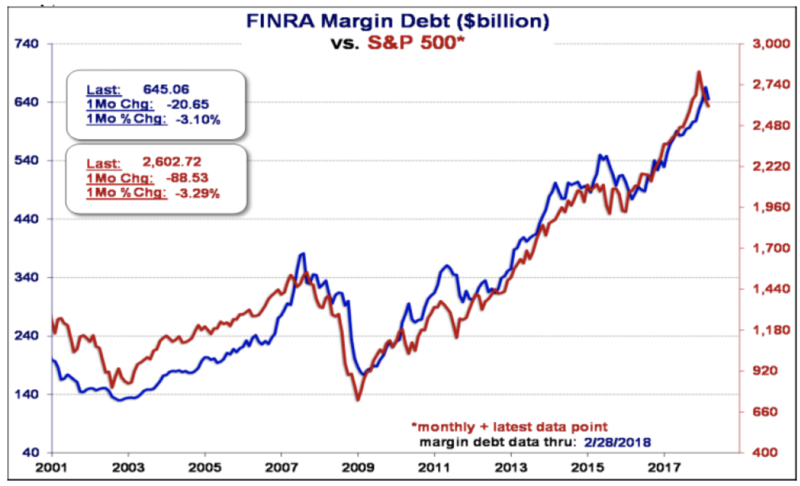 Watch margin debt because it may give some insight into where the overall market is going. This was an excerpt published on April 13, 2018 in The Forecast Report written by our Chief Investment Strategist, Jason C. Hilliard.